a few days ago we were in our bedroom with the windows open. our windows are original to our 1930s house, so they swing out instead of sliding up. all of a sudden, a tiny baby bird landed on the glass part of the window and started chirping very loudly. leko jumped right up to investigate. 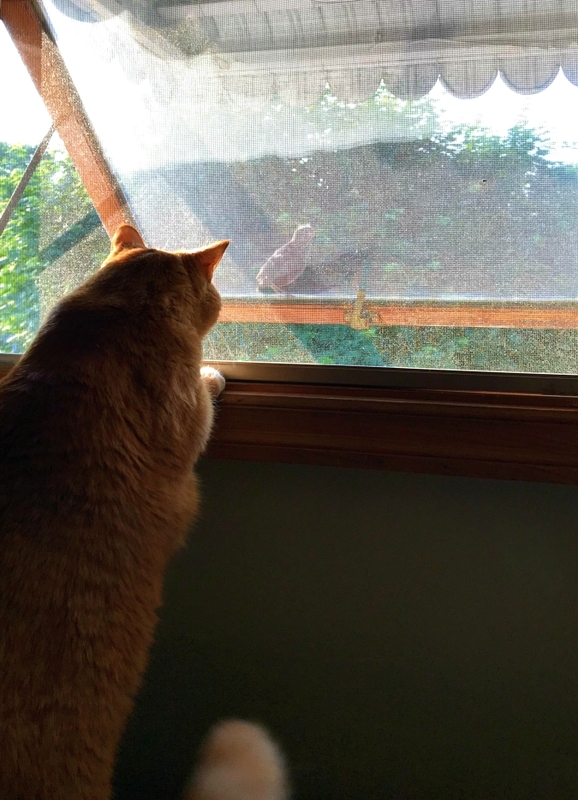 it was a very close encounter for both him and the birdie. so much excitement in our house on a daily basis! Thank goodness for the bird's sake there was a screen and window between him and Leko.